Michelle Charlesworth has the latest details. 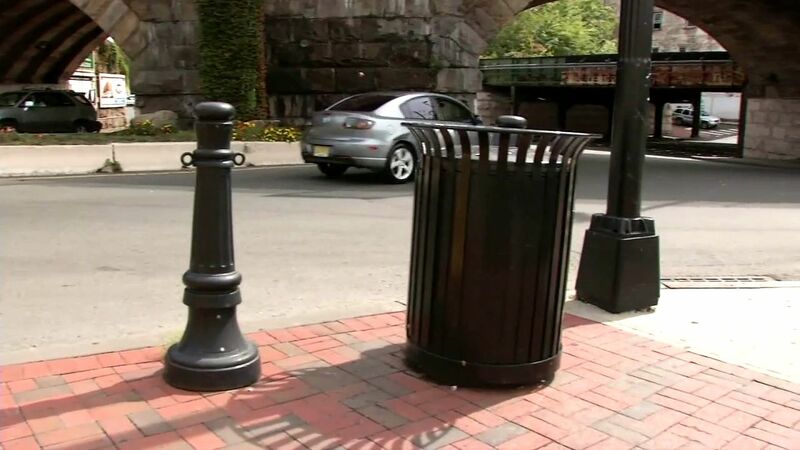 ELIZABETH, New Jersey -- A homeless man and his friend hailed as heroes are speaking out about their discovery of five pipe bombs hidden at a New Jersey train station over the weekend. Lee Parker and Ivan White said they were doing what anyone would do, when they spotted the brand new backpack near the Elizabeth train station. White said Parker had just said he needed a backpack, so finding this one seemed so perfect. "All of a sudden we look on the garbage can and on top of the can there was a pretty new backpack," said White. "Just sitting on top!" After picking up the bag, they walked around for a while and then the contents alarmed them. "I said we need to go to the police station right now because this is a bomb," Parker said. "It wasn't the cartoon bomb with a tick-tock tick-tock clock but it had wires. I had seen enough pictures of pipe bombs and different devices in books, magazines. I knew what I was looking at as soon as I saw it." Joe and Don are two local guys who work with a charity that has set up a GoFundMe page for the two Elizabeth bomb-finding heroes. "A third to Ivan White, a third to Lee Parker and the other third to the Elizabeth Coalition to House the Homeless, because that's one of the organizations that's been on the forefront of helping homelessness," explained Don Gonclaves with At Heart's Length. Gonclaves explained that what Parker and White did was something most people would not do - go into a garbage can or open up a backpack. In response to the fundraiser and being hailed as a hero, White said, "Thank you! I'm just glad I was able to realize what the situation was and react in such a way that, thank goodness, no one got hurt." Parker added, "Hero? No. I wouldn't go that far. (I was) doing the right thing." Though, Parker said he still has a problem. "I'm still backpackless," he said, showing us his blue plastic shopping bag. Parker said he's also looking for a job, specifically as a fork-lift operator or in shipping and receiving. He admitted he could use any help that anyone can give him.